Stress is a normal part of life, and one effective way to combat it is to listen to music. DJ music, mixing different instruments and styles together, can actually ignite our passion and activate the soul the moment we hear the beats. However, because of the limitations of time, energy and techniques, not everyone is good at mixing DJ. Thus the most convenient way to relax ourselves is to listen to the existing best DJ songs. Here we recommend the top 100 DJ music on Spotify to you and teach you how to download them to mp3 for listening offline or transfer them to other devices for freely playing. Spotify, like other streaming music services, offers DRM-protected songs, for which we are unable to download songs from the platform, not to mention to transfer the music to listen to them on other devices. Therefore, we’ll have to get rid of the DRM or convert the encoded songs to a common format, like MP3, to stream them for offline listening. 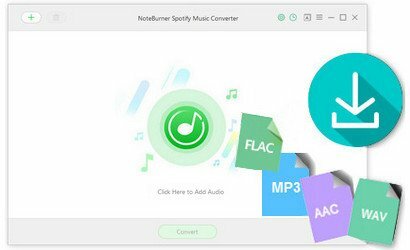 Now let's move on and explore how to download the DJ music from Spotify Free to MP3. Click button "+" or click the center of NoteBurner. 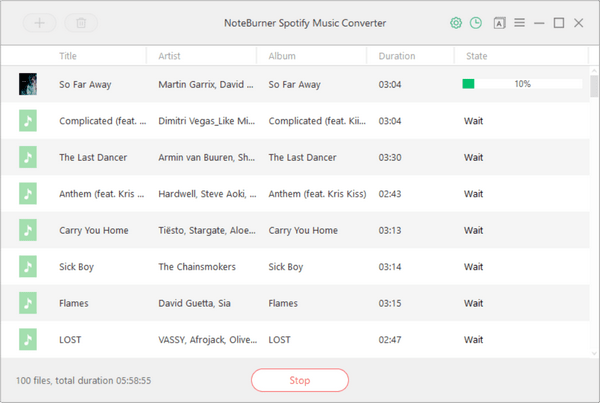 Simply copy and paste or drag and drop the playlist link of "DJ Top 100" from Spotify Free to NoteBurner Spotify Music Converter. 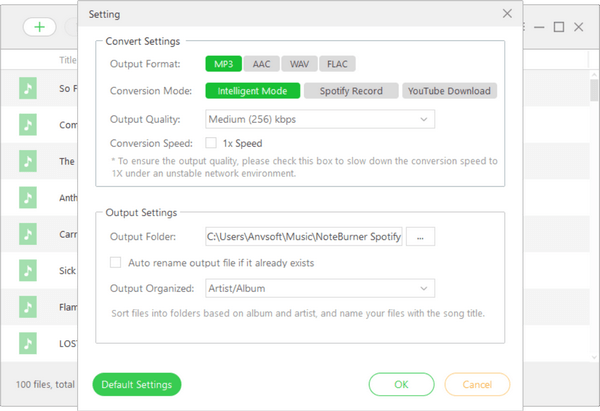 Click button "Convert" and soon you will find the DJ music converted & downloaded in MP3 format and saved in the output path you set in previous step. 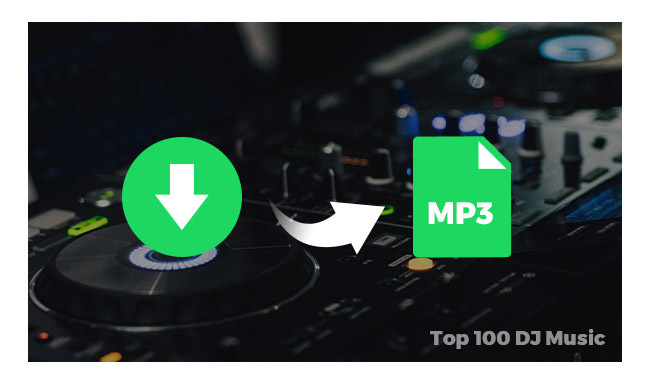 By clicking the history button (like a clock) on the upper right or directly going to the output folder you customized in Step 3, you can find the Top 100 DJ Music saved as .mp3 files. Now you've got the DRM-free DJ music, you can listen to them with any other media player or transfer them to any other devices for offline listening. 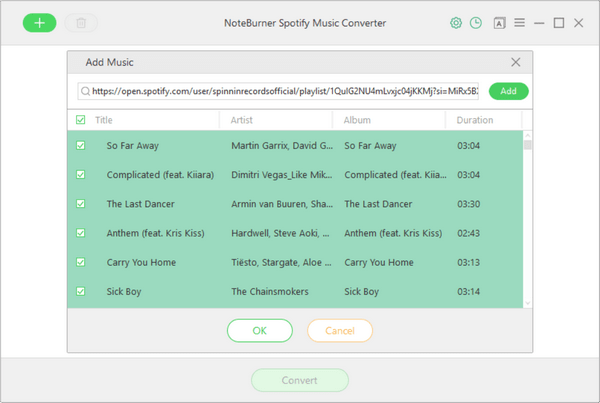 Note: The free trial version of NoteBurner Spotify Music Converter enables you to convert 3 minutes only of each song. If the duration of each song you want to convert is more than 3 minutes, you can buy the full version to unlock the limitation.